A couple of weekends ago, I attended two events in one day. 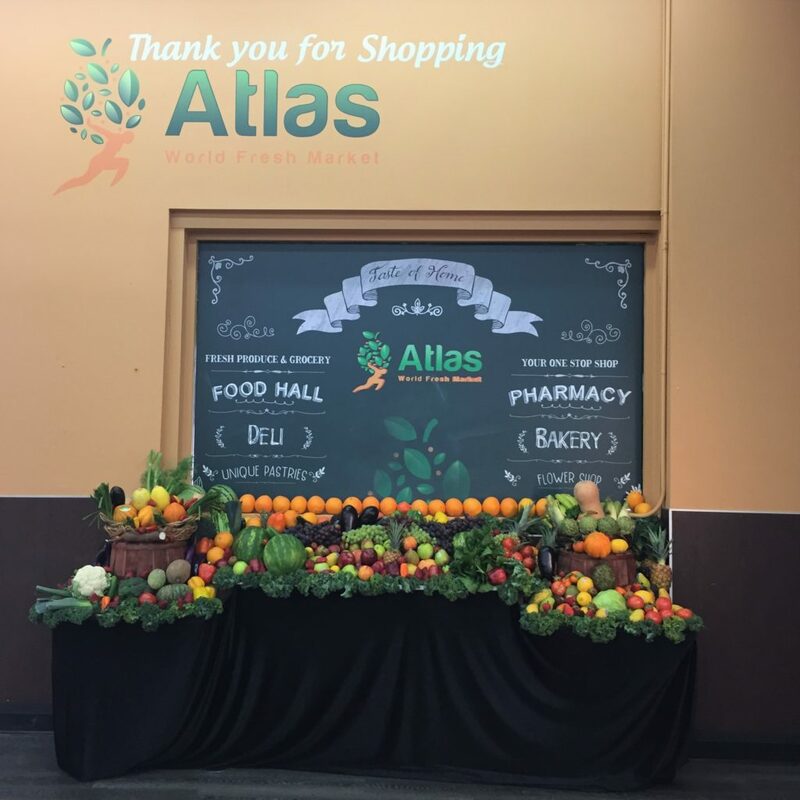 The first was the grand opening of the Atlas World Fresh Market in Poway. It is an amazing supermarket with everything from a deli, to a juice bar to an incredible Food Hall. I roamed around several times, taking in the variety of foods from all over the world, tasting samples and enjoying their fresh Juice Bar. I called my husband to let him know we needed to come back, not only to grocery shop, but to enjoy everything this amazing store has to offer, especially their bakery! Thank you Atlas Market for inviting me to your spectacular grand opening. My family and I look forward to returning again and again! I have never seen so many kinds of honey, including actual honeycombs! These are all made fresh in their Juice Bar! My refreshing pineapple drink, so delicious! The samples were so delicious, including their breads and Turkish coffee! On my next visit, I’m going to be having a little something from their Bakery. I’m pretty sure my husband would not know what to do with himself at the meat & seafood counter, or even the deli! Looking for spices? Look no more! This Food Hall was so amazing. My family and I need to come back and try everything! Congratulations on your new store and thanks again for inviting me to your Grand Opening!